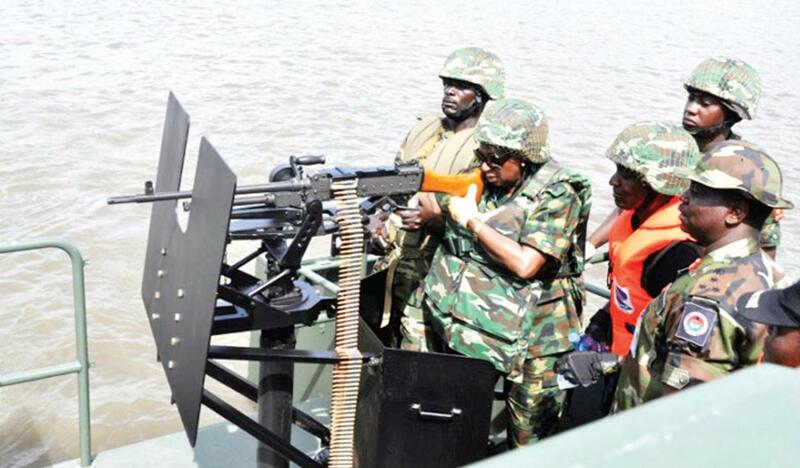 The Nigerian Navy has promised to intensify efforts in securing the maritime environment. The Flag Officer Commanding, Western Naval Command, Rear Admiral Habila Ngalabak, said the force recently carried out a three-day special sea exercise, codenamed ‘Anum Buneng’. He said the exercise was part of the efforts to address the nation’s maritime security challenges in order to make the sea safe and conducive for effective trading. Ngalabak, in a statement on Sunday, said the exercise assessed the operational readiness of ships within the command’s area of responsibility. Ngalabak said eight vessels and two helicopters were deployed for the exercise, which comprised Maritime Combat Operation, Maritime Security Operation, and Maritime Assistance Operation, among others.